new album for 2012 ?! 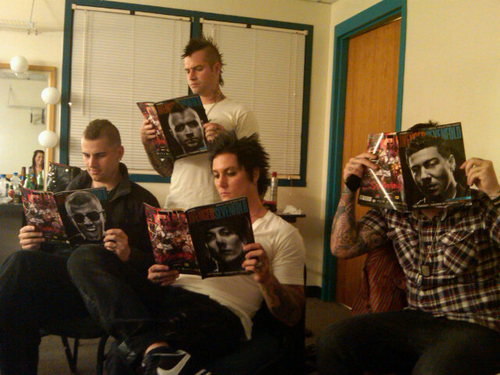 Good news for the fans of Avenged Sevenfold! The band could throw a new album soon. It is the singer, M.Shadows, who announced the piece of news. " We are going to begin to think of our next album soon. I am anxious and incited with regard to this project, then I would like to begin this summer. Then, we are going to write during the beautiful season, it is which is a very important thing, but I have no idea when we are going to throw it ", declared the singer to the magazine Kerrang!.